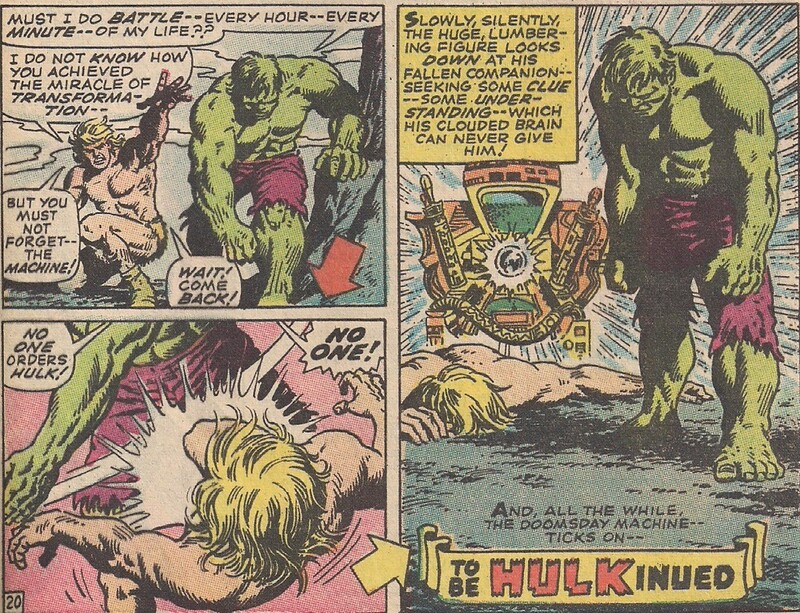 Next to nothing other than it features Hulk and Ka-Zar. It’s my reference point for Ka-Zar and the Savage Land. I couldn’t tell you anything about the plot other than that they fight, which I assume because it’s a Hulk book. For those unfamiliar with Ka-Zar, he’s a Tarzan knockoff and a version of him appeared in the first Marvel comic, Marvel Comics #1. So let's see how it holds up. 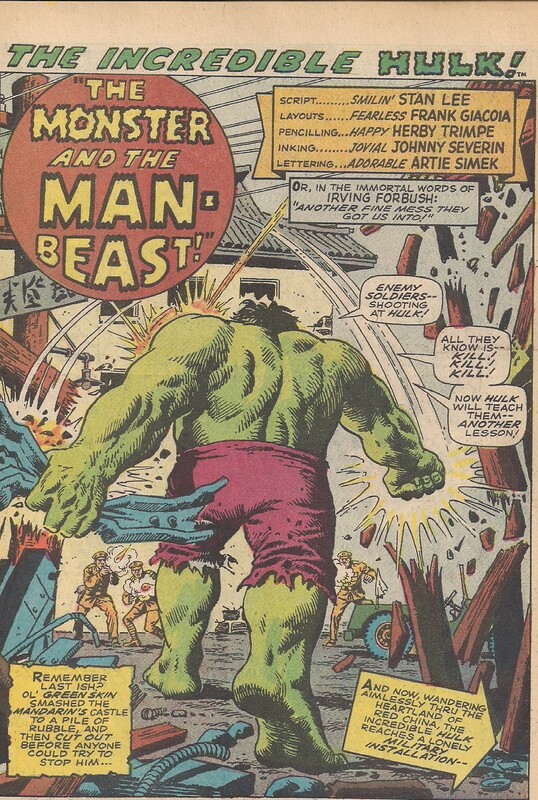 The Incredible Hulk #109 "The Monster and the Man-Beast"
Ah, the '60's, where people were tired of being skinny. That's how you open a comic! Yes,it is a simple but fun story. This book would be worth picking up for just the ads. There’s classic body builder ads, coin collection ads, and even one for “masterpiece” painting of horses. These are the ads that people think of when they think of comic book advertising. Our story picks up with the Hulk in Asia, battling the Chinese Army. Turns out, the Chinese army treats the Hulk the same way the US Army does and a battle ensues. He escapes on a missile and inadvertently redirects it, crashing it into the ground and sending the Hulk tumbling into the Savage Land.to the Savage Land. After he transforms back to Banner, he meets Ka-Zar, ruler of the Savage Land who saves him from the Barbarian hordes. 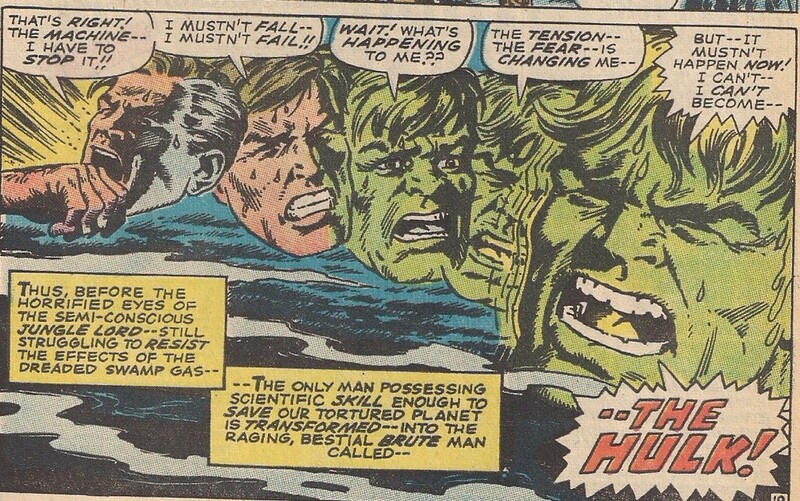 Another Hulk book, another great transformation scene. After transforming into the Hulk, The Hulk promptly swats Ka-Zar,knocking him out while the machine continues wreaking havoc on the planet. Four prints of horses for a dollar!? Absolutely, while the story is fun, I’m glad I picked it up for the Frank Giacoia art. It’s absolutely amazing. The moment that I opened the book, the splash page brought back a flood of memories from this book, that I hadn’t read in over 20 years. His Hulk looks like a monster, hunching and as wide as he is tall. He also has the Hulk leap into the page at attackers, that fall between panels. Art that just leaps into the page! He uses full pages to show both explosion of the missile as well as the Hulk crashing to the Savage Land to great effect and spare no detail. The pages look great even nearly 50 years later, on yellowing pages. This book is worth re-collecting for the classic, Silver Age art. I wish they put colorist credits in old comics. Next Issue: We move back to the 1980’s and Superman in one of my favorite comics of all-time, John Byrne’s Man of Steel #1! See you next Wednesday!